There are 21 posts in this thread, and it has been viewed 5563 times. Rather than derail the Recent Purchases thread any further, I thought it best to start a new one just for Saturn discussion. If anyone wants to share details of their collection I'd like to see/hear what you have. So these cheap Action Replay carts on eBay... I assume these are the dodgy ones that can potentially damage the cart slot? What is the best 3 in 1 cart to get? I'd say none. Mod your Saturn with a reg free bios instead. If you don't like the idea with modded consoles, I'd still prefer owning two Saturns from different regions over using one of those carts. I once owned nearly 100 games for Saturn, but sold off lots of them as it was a way to finance AES games for me. I regret selling only a few of them, maybe 5-10 titles or so. Luckily those are really cheap ones, so it's easy to get them again. Today I've got 35 games left and planning to get around 20 more. Check out the Lost Games Recovery Programe for some unreleased Saturn games. Haven't played Lupin, sorry. The animated sequences look good, in-game isn't very impressive, more clumsy. Recently I bought a new 3-1 Action Replay from PlayAsia. I already had one, but it was a older version and didn't support properly 4MB RAM for Marvel vs. Capcom. The new one works like it should. The Saturn is notorious of having bad cartridge connections, so it would be best to leave the cartridge in the system and get it 'married' with the console. It's not the most reliable card, but having a Japanese skeleton Saturn, I want to play imports, back up saves and have 4MB RAM if the game needs it. So it's a nice all in one solution. Although I prefer original memory cards, it's not handy in this case. Many years ago I bought many cheap Japanese games via Ebay. Due price but back then I was very motivated to learn Japanese. But most games didn't have a language barrier. Later I bought USA/PAL versions of some games (Panzer Dragoon, Shining Wisdom) to understand the text and story. I'm glad I started soon with buying Saturn games, even though I didn't had the time to play them all. Prices were way more friendly then nowadays. I put in an order for a few more games and I've decided to give Wolf Fang a go from your recommendations. I never had Sengoku Blade before so I'm going to see about that too. I was reading an article yesterday on HG101 about the Tempo series; I never knew of a Saturn sequel to the 32X game, or even the GG port. So off I go to eBay to track one down...... yeeeees, don't think I'll be playing that anytime soon. I'm quite intrigued by all the different variants of the console. Mine's a HST-0014 white one, but I quite like the look of the V-Saturn. My god! You got yourself a great and huge collection Sensi! Top games are all included! Bravo! I do have that, it's a good enough game but definitely not worth the money it goes for now. Also (like Battle Garegga) I'm sure it's not that rare either given the number of copies that are on Ebay right now. I haven't played it for a while but I think because of it's 32X origins it plays in a window, so not full-screen. HAha, wonderful Japlish! I like the 32x game so I want to try the saturngame. 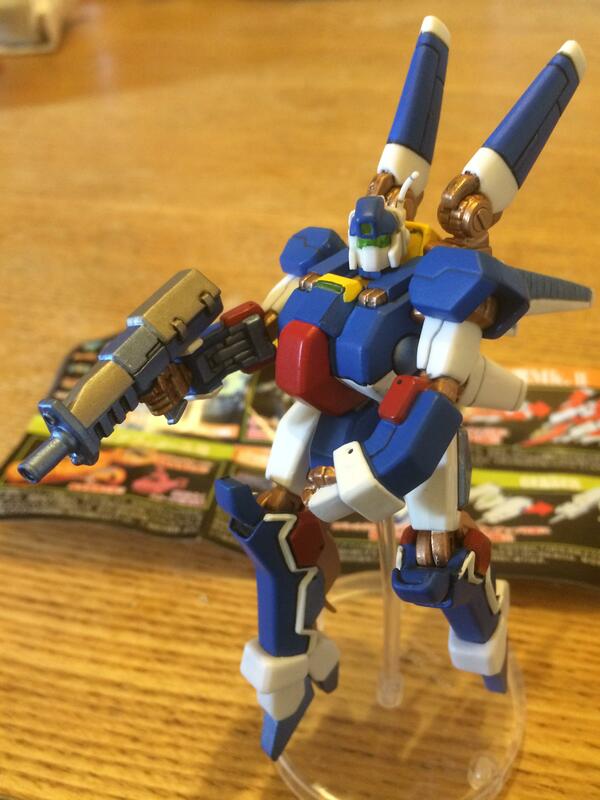 Wolf Fang mecha from the Shooting Game Historica series 3. So, how is your Saturn hooked up SD? RGB via an XRGB Mini. Or at least it will be when the sodding Scart lead arrives. I am however considering a trip to Essex, the land of B&O TVs, or so it would seem, if I can find a nice condition 28" MX 7000 crt. Also, does anyone know about Ninpen Manmaru? I got mine from Genki Videogames here in the UK for about £20. I looked on eBay and the only two copies on there were well expensive, one over £100 and another that I think was sealed for over £200! Now mine is missing the spine card but that seems like a huge price difference. Have I got a rareish game for an excellent price, or are these other people vastly overpriced? You made a great deal with Ninpen Manmaru. Ebay is way overpriced for this game, I saw a copy for about $80 on a regular site. Anyway, sometimes you just need some luck. The games looks nice, is the Saturn 3D controller compatible with the game? I have ordered a 3D controller. But I'm a bit funny about used controllers.... I'd rather have a nice new one, even if the console itself is used. So I found a brand new Magic Carpet box set that includes the pad, as there's probably no chance of finding a new Nights box set. It also works with the version of Sega Rally Plus that I got so I can't wait to try that too. Sometimes it's indeed better to buy a pack (with a useless game) to obtain the hardware you want. Did the same trick a few months ago for a original (new) DC mic. It would be a shame if the pad wouldn't be compatible with the game. The game could really use it. The controller works really well with a lot of games. I bought the controller for Nights only, not knowing then so much games support it. Great thingy. I'm actually looking forward to giving Magic Carpet a go. I remember there was quite a fuss made about it when it was released on PC. So why the DC mic, are you breeding Seamen? Are there many games that benefit from using the analog controller? I can't think of anything other than MC, Nights and Sega Rally + that officially support it. Maybe Burning Rangers? About 100 titles works with the 3D-Pad. Ninpen Manmaru isn't one of them, at least not officially and probably not at all. But you can always switch to use the standard d-pad on the controller so you don't have to change controller all the time. Yeah, Seamen is the right guess. Would be nice to fiddle with him after work, for a hour a day or so. The PC release of Magic Carpet was indeed a fuss, mainly of the high-end (Pentium) PC you needed to run the 3D world smoothly. 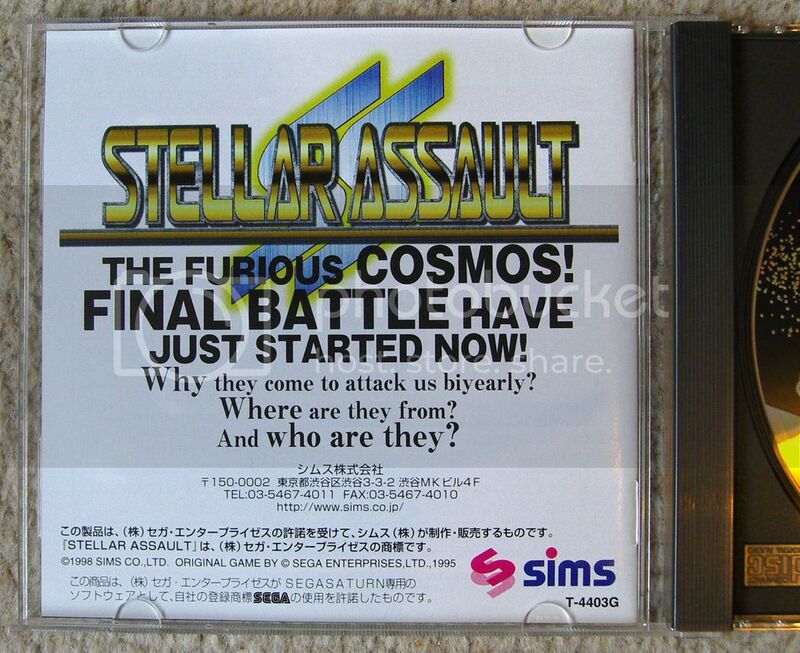 Don't know how the Saturn version does compare to it, please let us know. I think I'll give the Panzer Dragoon double pack a go as I've never played any of the series Thankfully I don't need to worry about Saga as I'm really not into RPGs. And that's a good thing as English language console RPGs in general tend to end up quite expensive, especially PlayStation. I've had lots of fun with Sengoku Blade and Chase H.Q./S.C.I, even if the Chase/S.C.I port is a bit rough. Oh, you're in for a real treat with the PD games, as long as you don't mind the pretty outdated graphics. But oh how glorious they were to me in 96 or so! Has anyone got/tried the official Saturn wireless controllers (HSS-0116)? Do they work well without any input lag, or are they a bit shite?